Mrs. Wang agrees to have 3 implants placed. 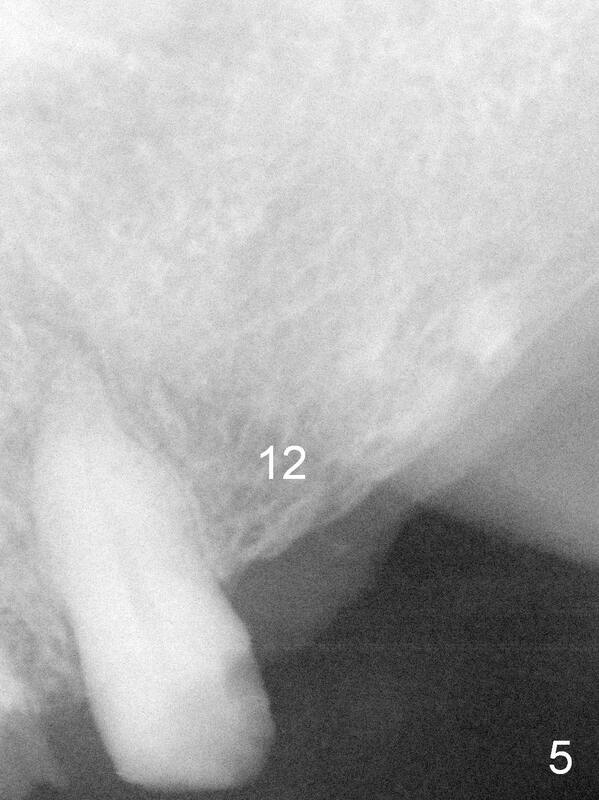 Two of them (at #9,10 (broken teeth) (Fig.1,9) is called immediate implants, the 3rd one (#12, socket that has been healed) delayed. 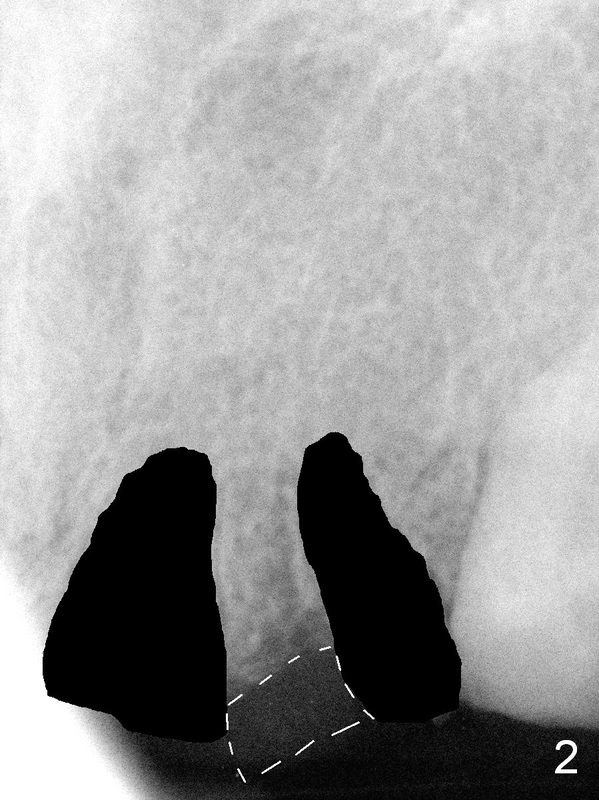 To place the immediate implants, the broken teeth are extracted first (Fig.2,10 black areas). 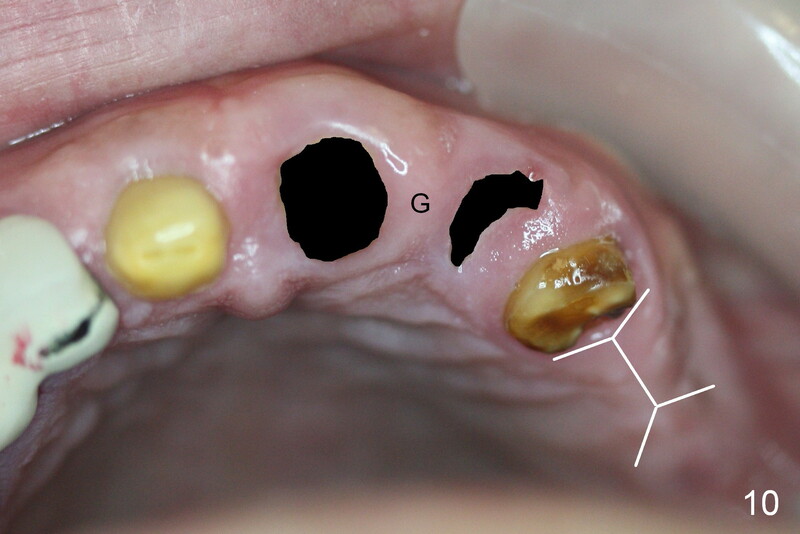 The beauty of immediate implant is no surgery to be performed on the gums (our sensitive tissue, pain source (Fig.2 white dashed line, Fig.10 G) anymore. 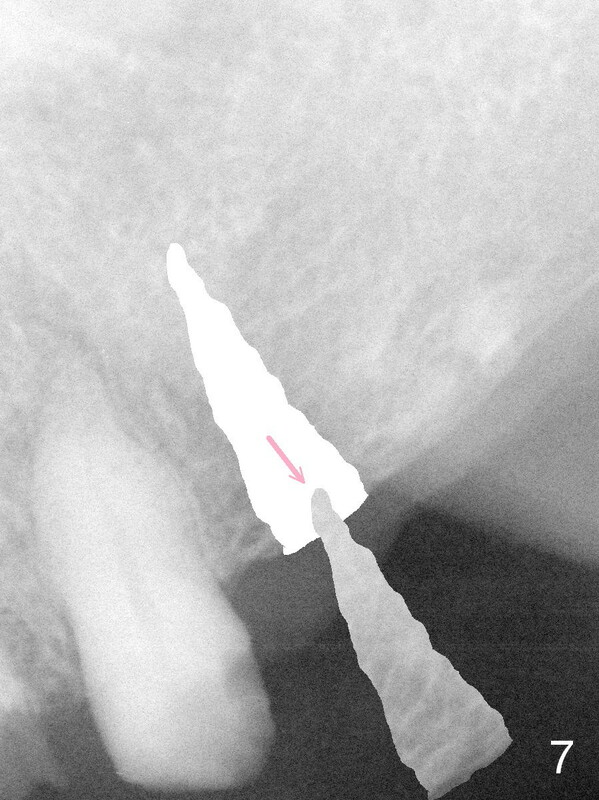 A little bone is removed (Fig.3 pink arrows) before placing 2 immediate implants (Fig.4). 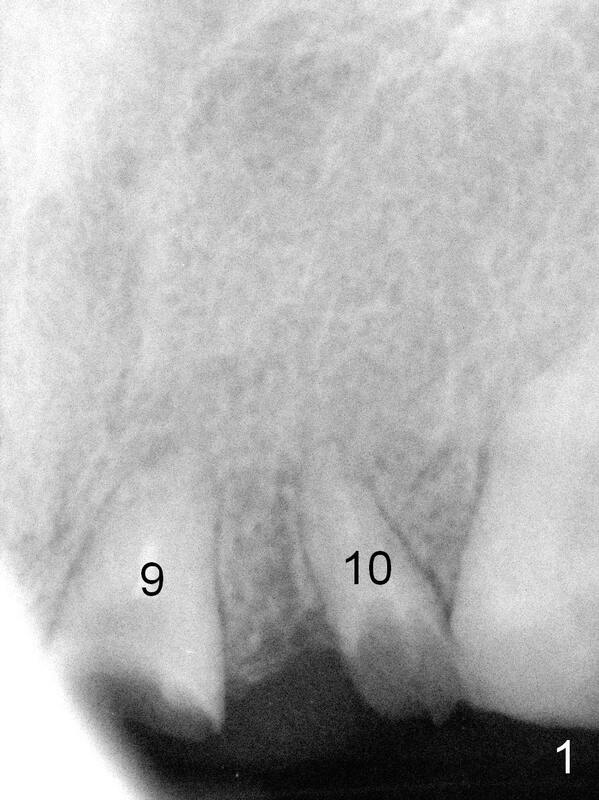 In contrast to place the delayed implant at #12 (Fig.5), an incision has to be made on the gums (Fig.6 red line; Fig.10 white line). 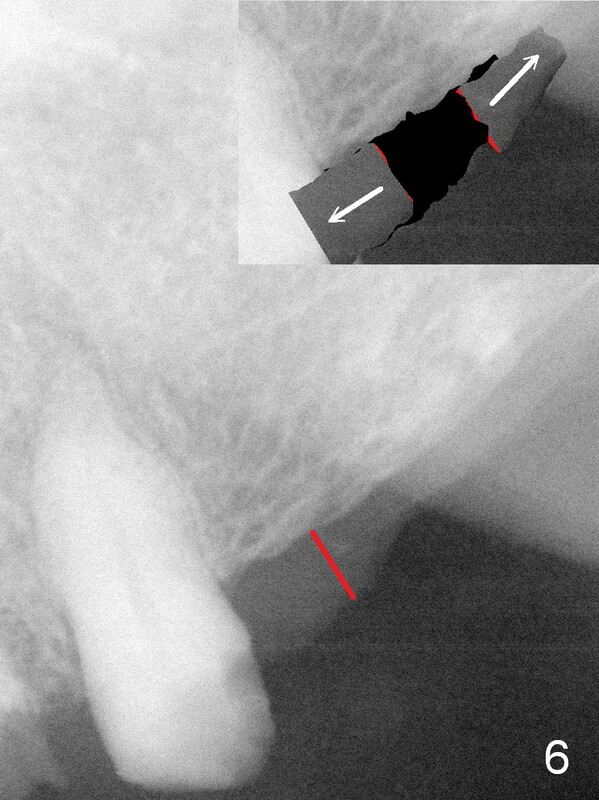 The gum tissue has to be pushed aside (Fig.6 inset white arrows) to make an opening to remove a large quantity of bone (Fig.7) before placing the delayed implant (Fig.8). Finally stitches must be placed to close the opening. 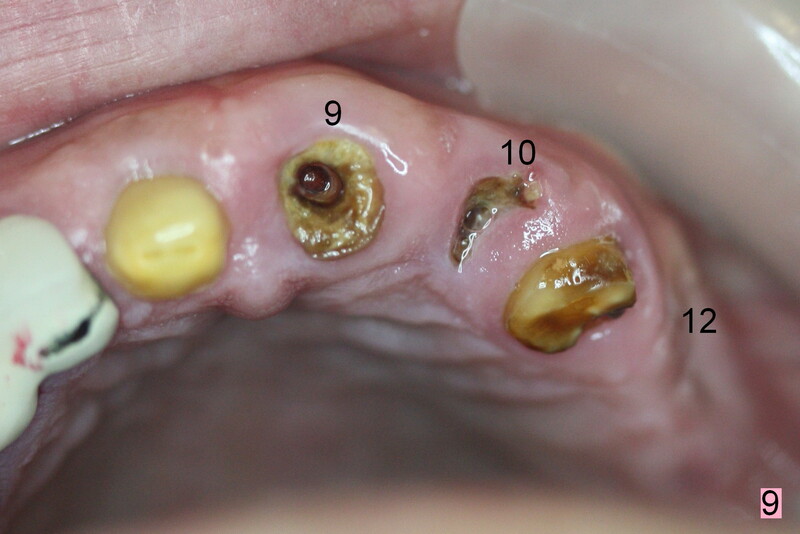 Everything done the gums (including cut, push, and stitch) is associated with pain after surgery, whereas surgery on the bone has nothing to do with pain. There is no nerve in the bone. In fact, Mrs. Wang is nervous. Before discharge, her family requests pain killer for her. 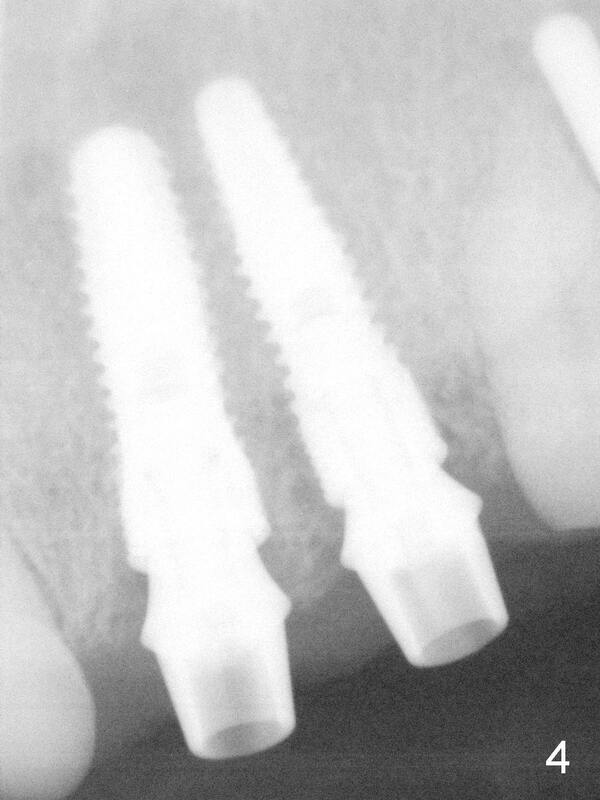 The latter is filled, but the patient does not take the pain med. 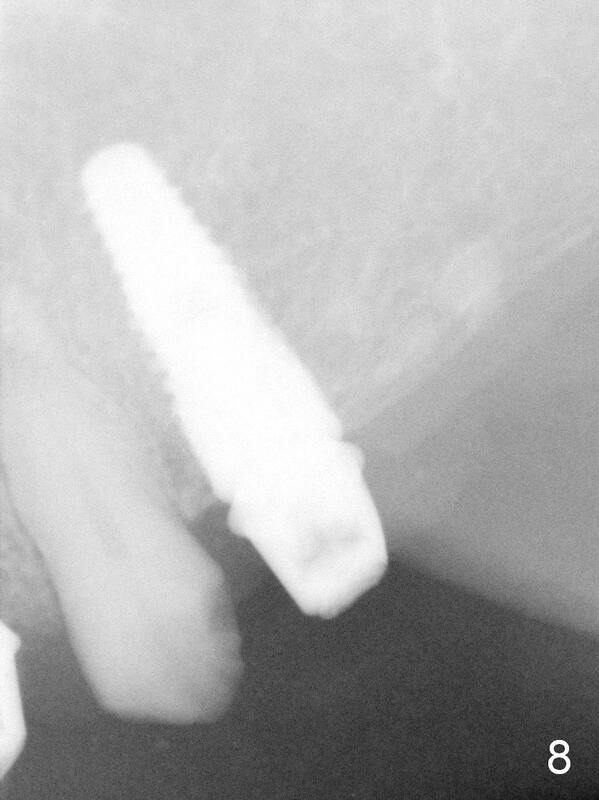 She basically does not feel pain from the 2 immediate implants, but pain is from the delayed implant!